Are all paper coffee cups and food packaging made the same? The integrity of a product is extremely important. In addition to containing and protecting the item, the packaging must speak to a buyer and ultimately lead to a sale. Containers that achieve the ‘wow’ factor can set any product apart from its competitors. Not all paper coffee cups are made the same. When a customer buy a cup of takeway coffee on the go. The first impression before they even take a sip of the coffee is how it look. The packaging of the paper coffee cup quality, followed by how it feels when they hold the paper cup. That in itself already determines whether the coffee itself is of high quality and value for money. No matter how great a coffee is made or where the coffee bean has been harvest. If the paper coffee cup is cheaply made the integrity of the coffee will be lost. 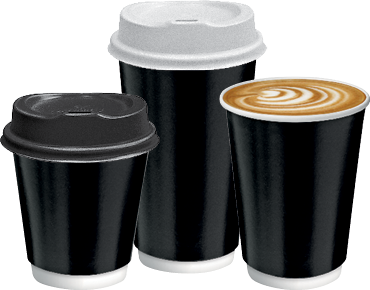 Wholesale Direct staff are very passionate in sourcing quality paper coffee cups and food packaging. Our trainned staff have very great attention to details. We check for things such as the paper thinkness, any odour, the folding of the paper cup rim, how strong the base is, any leakage and print quality. We are partners with trusted brands such as BioPak, Castaway and many more. Here are some amazing coffee cups we stock to give your store the wow factor!! Please Checkout to purchase this product.